About Since I haven't had a chance to get out and find some of mother nature's fall colors I decided to create some of my own. It can not get more halloween like this picture. I like it. Very strong arrangement and vibrant color....Congrats on your Award, Clay! 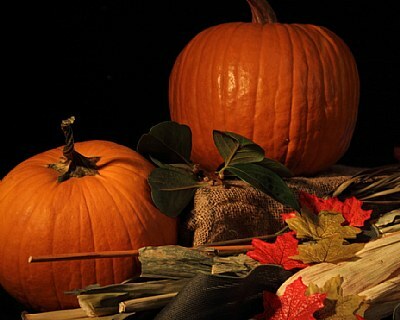 A lovely colorful fall still life capture Clay! and grouped. Joy to view. Congrats on your awards my friend! congratulations on the well deserved award dear Clay!!! You have to do the painting Clay now :-). A nice composition with a really well managed light. Felicidades por tu merecido premio, Clay! Very nice photo.very good design.I hope I,m not Wrong. Don't need to go out. Always appreciate your "indoor" photos, still life or "Handyman". I find this very impressive, I must say courageous, and I like the result very much! I think the courage of the photographers is rare. Bravo !! I'd love to hear your comment on my images. Un bodegón con hermosos colores! Very nice! Real feeling of autumn time!